There is no doubt South Philly has hosted its share of hard to-forget moments. Later this year, the South Philly Review will be taking readers on a trip back in time revisiting some of the greatest moments in South Philly’s storied history. Besides highlighting the famous 70 from these parts, the very special Nov. 28 70th anniversary edition will touch on 70 great events in South Philly history. Sure, the Phillies 2008 World Series parade down South Broad Street may immediately pop into your mind for the shear fact that those type of celebrations are a rarity in the City of Brotherly Love. Think about it, the previous championship caliber celebration took place in 1983 when the likes of Dr. J and Moses Malone led the 76ers to an NBA championship. But if we keep going down this championship path, the conversation will likely take a depressing turn. Besides, South Philly is none for much more than its professional sports teams. There’s the annual Mummers Parade on New Year’s Day that dates back to the days before anyone reading this paper was born. In terms of politics, the Wells Fargo Center, formerly the First Union Center, was home to the Republican National Convention in 2000, and more recently, last year’s Democratic National Convention. Others may recall the 1979 visit by Pope John Paul II that included residents lining up along Broad Street just for the opportunity to see the papal motorcade up close. 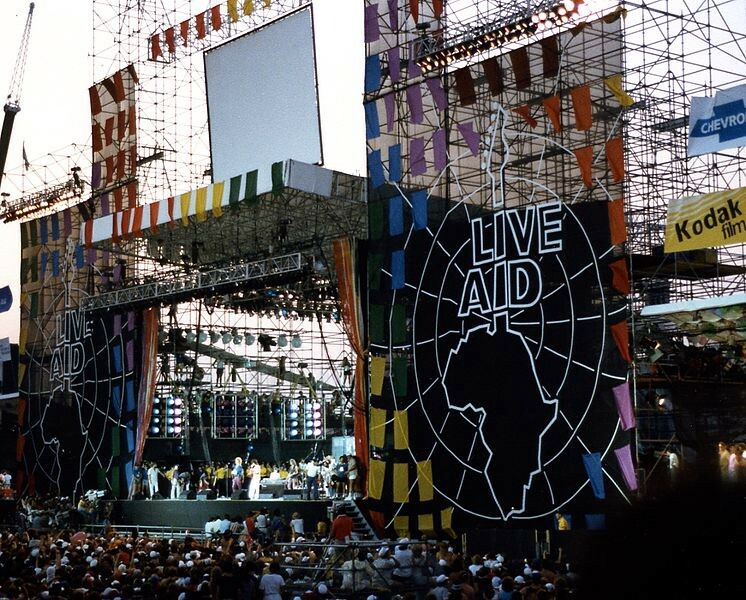 Other may recall a little concert known as Live Aid that took place at the old JFK Stadium in 1985. There was some guy by the name of Frank Rizzo who was elected mayor of Philadelphia in 1972. Call this random list of events as the conversation starter. There is no doubt there will be a wide-range of opinions on which events should make the cut, and which ones shouldn’t. Based on recent current events, many of you may give a thumbs down to the sheer mention of Rizzo’s name. Calm down, this is not meant to be a shouting match. Share as many or as few events as you like, good or bad. All of them are considered part of our history. Keep an eye on our social media pages for random questions to get the history conversation going. Email your list of events to news@southphillyreview.com.